An increasingly belligerent North Korea has sparked a debate in Canada about whether Prime Minister Justin Trudeau should reverse his country’s long opposition to joining the U.S. missile defense program. Canada opted not to join the program in 2005 despite an appeal by President George W. Bush. Now, without any prompting from the Trump administration to join, Canadian Defense Minister Harjit Sajjan says he has not ruled out that Trudeau’s liberal administration will do so. Canada is already a member of the North American Aerospace Defense Command (NORAD), which provides early warning to the United States and Canada of any ballistic missile threats. The U.S. missile defense program is meant to shoot down incoming ballistic missiles. Sajjan said that the threat of ballistic missiles is “real” and will be a topic when Canadian and U.S. officials meet to discuss upgrades to NORAD, The Canadian Press reported. However, Sajjan said it was one of multiple issues that are of importance to Canada’s defense. In 2005, a fierce national debate on whether to join the program resulted in Canada deciding against it. Those opposed argued that it would harm Canada’s sovereignty in foreign policy, with some criticizing what they perceived as an aggressive U.S. foreign policy under Bush. However, those in military circles have argued that Canada joining the program would have further strengthened U.S. and Canadian collaboration within NORAD. Some have also accused the Canadian government of becoming a free rider in ballistic missile defense, relying on the United States to protect it. A statement by Canada’s highest-ranking NORAD official last month sent a shock wave through the country, when he said he was told by his U.S. counterparts that it is not a priority of the United States to defend Canada. “We’re being told in Colorado Springs that the extant U.S. policy is not to defend Canada,” said Lt. Gen. Pierre St-Amand, deputy commander of the Colorado-based NORAD, the Toronto Star reported at the time. U.S. President Donald Trump has repeatedly called on other countries to pay their fair share of the burden when it comes to military defense. Most notably, he has called on NATO members to step up and pay what they are supposed to under the alliance’s own guidelines. NATO guidelines stipulate that member states spend at least 2 percent of GDP on defense. In 2016, only five nations met the NATO requirement: United States (3.6 percent), Greece (2.4 percent), United Kingdom (2.2 percent), Estonia (2.1 percent), and Poland (2 percent). Canada was among the nations spending the least on defense, at 1.2 percent of GDP in 2016. Since Trump became president in January, NATO members have started to increase their defense spending. Germany announced earlier this year it was increasing its spending by 2 billion euros (US$2.35 billion). The United States has spent tens of billions of dollars over the past decade to develop and improve its missile defense systems. In light of recent threats from North Korea and the advances in its nuclear weapons program, Trump has said the systems will be further improved. On Oct. 4, the Pentagon announced it will spend an additional $440 million on missile defense. It is unclear if Canada would be able to still join the U.S. missile defense program even if it wanted to, or how much it would pay. Pundits have pointed to the political cost of such a move by Trudeau, with some arguing that it was worth that cost. Tim Harper of the Toronto Star wrote in a column on Oct. 5 that the issue is a “double-edged sword” for Trudeau. “Heading to Washington to ask Trump for protection will surely start the domestic debate here. But the Liberal government might be wise to endure that debate in return for protection in uncertain times,” Harper wrote. North Korea now claims that its state nuclear program is nearing completion. 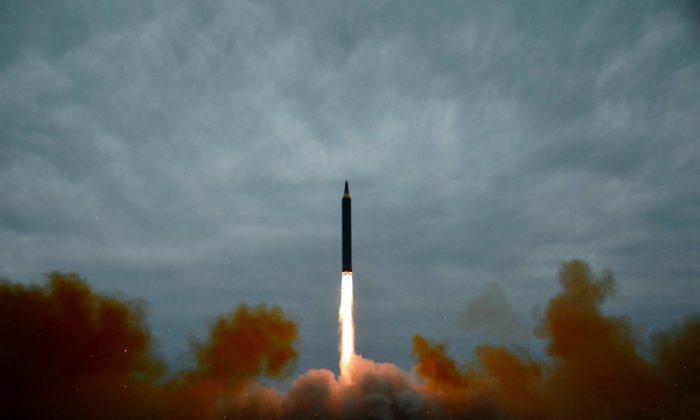 A Russian delegation visiting the reclusive communist state this week said that they were presented with calculations to prove that North Korean ballistic missiles can reach the U.S. mainland. 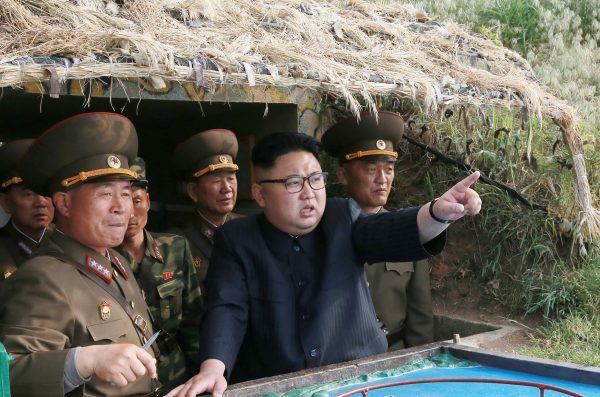 They also said that the regime is preparing for new ballistic missile tests, possibly as early as Monday.